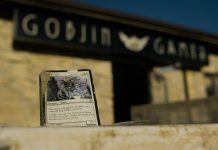 Card games, board games and model figurines are some of the things that can be found at Goblin Games, a trading car and board game retail store that offers a space for game enthusiasts to come and play with fellow gamers. 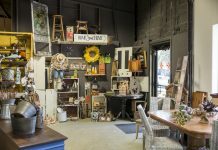 Joseph Wyatt and Ann Higley, owners of Goblin Games, said they opened their doors in west Manhattan in January 2015 after a similar store came up for sale. When first walking into the store, player and customers are surrounded by a collection of board games for purchase or rent. Behind the counter is a collection of different card packs for beginners and experienced players. According to Wyatt, “Magic the Gathering” is one of his most popular games, but the store isn’t limited to just the games he has in store. 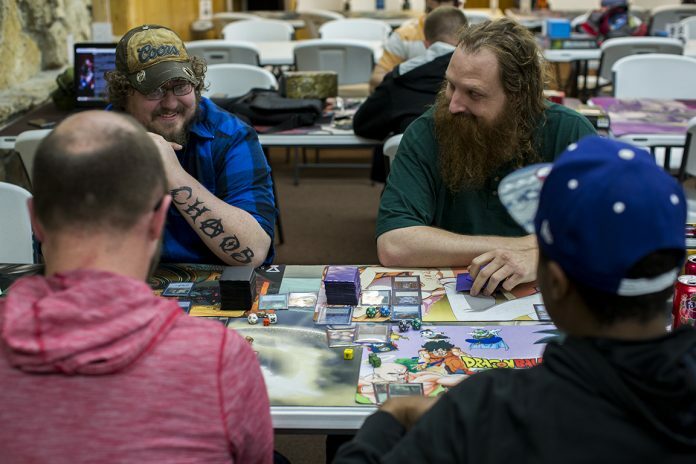 Gamers can bring their own games into the store and play at a table for free. If customers want to try a game before buying, Wyatt offers free game rental. Besides the friendly setting these players experience, Goblin Games helps customers with understanding the games and helps players find and order additional materials for their ever-expanding games. One of those available to help new or experienced players is Paul Hargrove, a clerk at the store. For some players, the appeal of playing games in the store compared to at home is that there is always someone around willing to play. Wyatt said a big attraction for Goblin Games is their daily tournaments, with the prizes such as card packs for the players’ respective games. “There’s about three things a night we run,” Wyatt said. Wyatt said these tournaments will have large turnouts with players competing against one another and, at times, a chance to qualify for professional tournaments. Winners of these tournaments move on to the world championship tournaments, Wyatt said. 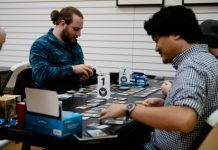 These tournaments take place all over the world, such as this year’s “Magic: the Gathering” tournament, which took place in Barcelona, Spain.